Elena Kostioukovitch will be a guest of the 19th Lviv Book Forum and 7th Lviv Literary Festival that will take place on September 12-19, 2012 in Lviv, Ukraine, where she will give a master-class on Italian Cuisine, and a presentation dedicated to literary translation. 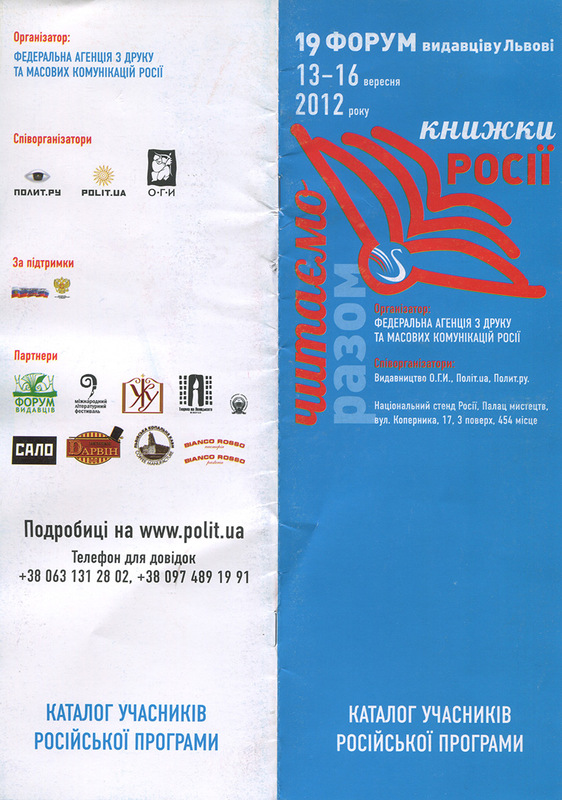 - on September 13th, at 15.00 at the Festival Stand: presentation of the project "Literary Tour 2012". 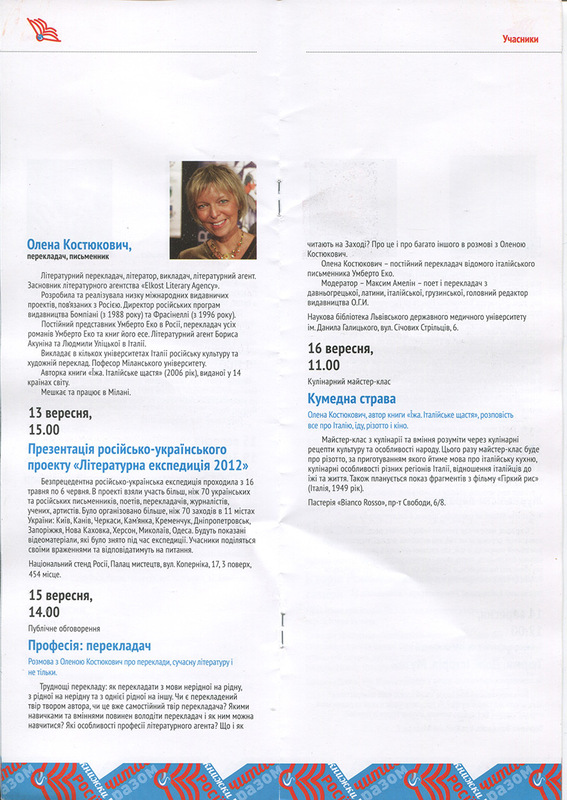 - on September 14th, at 14.00 at the Danila Galitsky Library: "Profession: literary tranlsator. Public lecture by Elena Kostioukovitch and Maksim Amelin"
- on September 16th, at 11.00 at the Biancо Rosso Restaurant: Culinary master class by Elena Kostioukovitch. The Lviv Book Forum (Ukrainian: Форум видавців у Львові) is the biggest book fair in Ukraine. Its slogan is "Amor librorum nos unit".